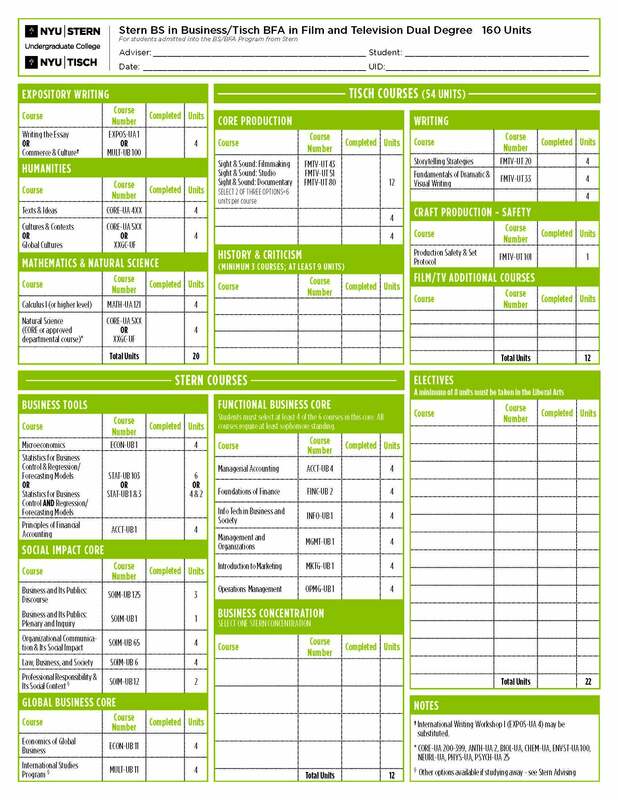 BPE Curriculum Worksheet Use this curriculum worksheet to chart your degree progress and plan for future semesters. For class of 2017,click here. Stern Concentration(s) form Use this online form to declare/add/remove your Stern concentration(s). It is best to declare your concentration(s) by the end of your sophomore year and required by the end of your junior year. Log-in is required for this form. Please use your STERN net ID and password. 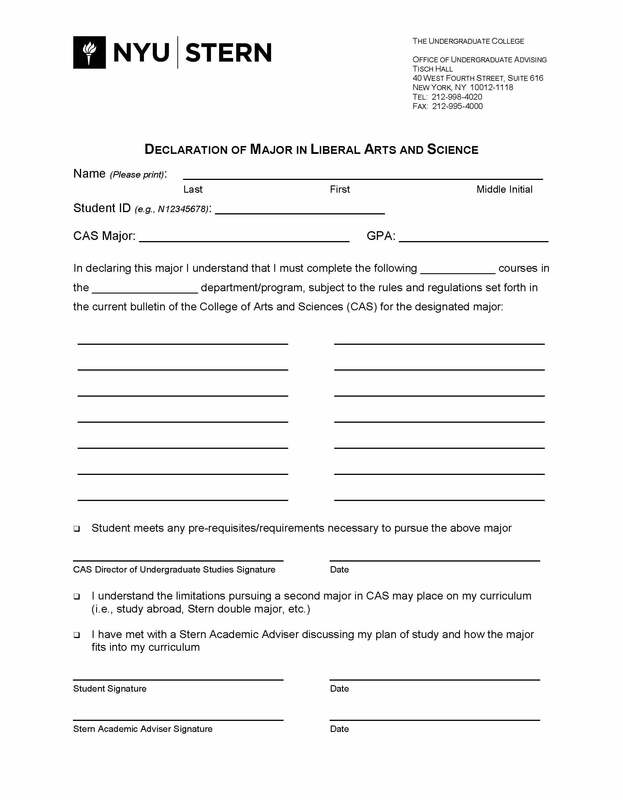 Declaration of Major in Liberal Arts and Sciences Use this form to declare a major outside of Stern (CAS only). This form must be signed by both your Stern and CAS advisers. 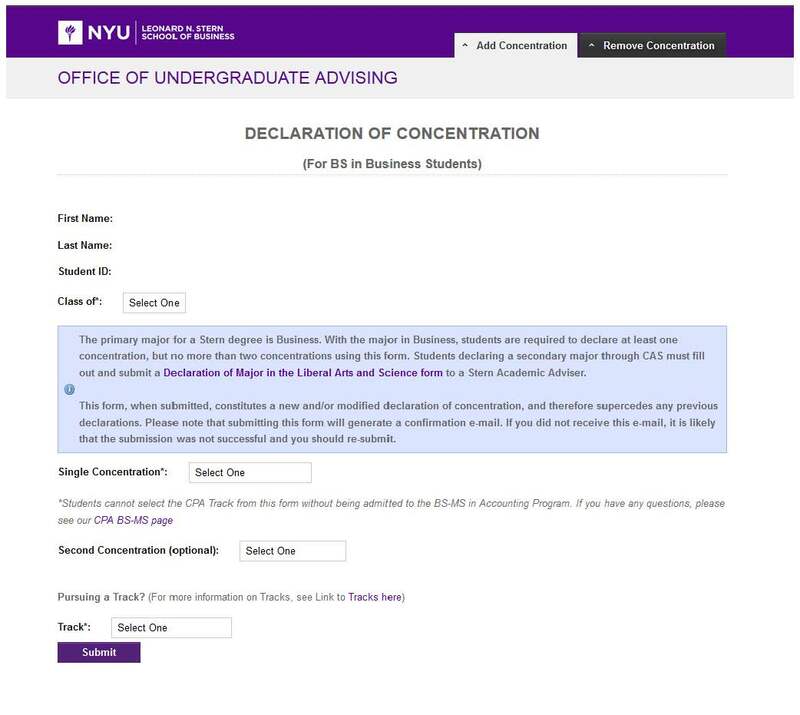 Consent to Share Student Information Allows advisers to speak to person(s) indicated on form regarding academics and other relevant information. Advisable to have this on file if you are planning on taking a leave of absence. Please note that once a request is submitted, it cannot be revoked. The change may take several weeks to be processed and will be reflected on your class schedule in your Albert Student Center. You will receive a confirmation email when the process has been completed. Please take note of the deadlines stated on the Academic Calendar, as they will be strictly enforced. Log-in is required for this form. 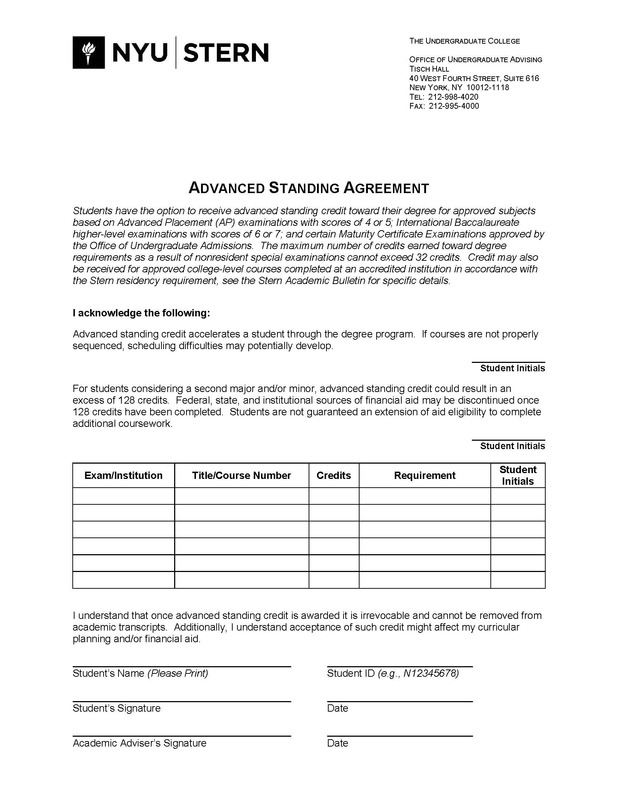 Advanced Standing Agreement Use this form to apply AP, IB, GCE or other eligible test credits. For a list of eligible exams, please check here. 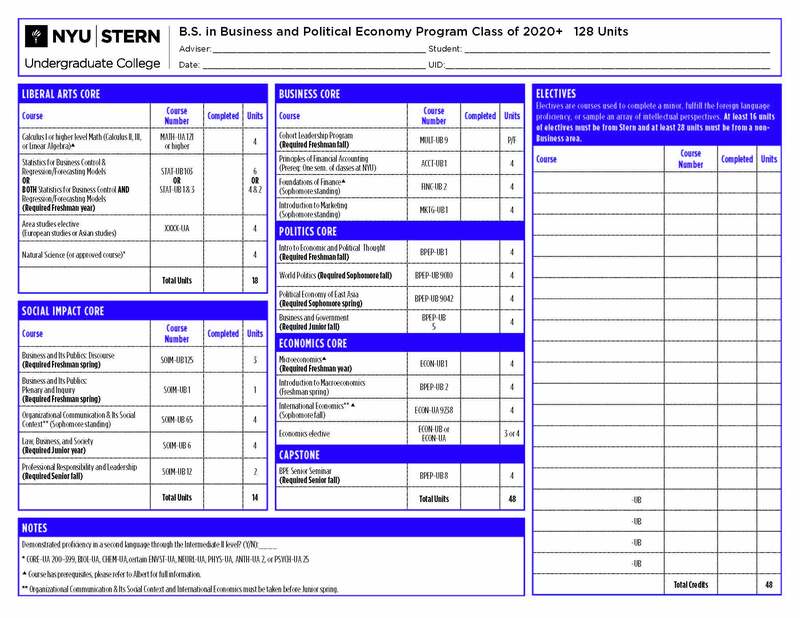 (Expand the heading entitled "Advanced Standing and Credit by Examination") Electronic versions will not be accepted. You must come into the Advising Office to retrieve a signature from an adviser. 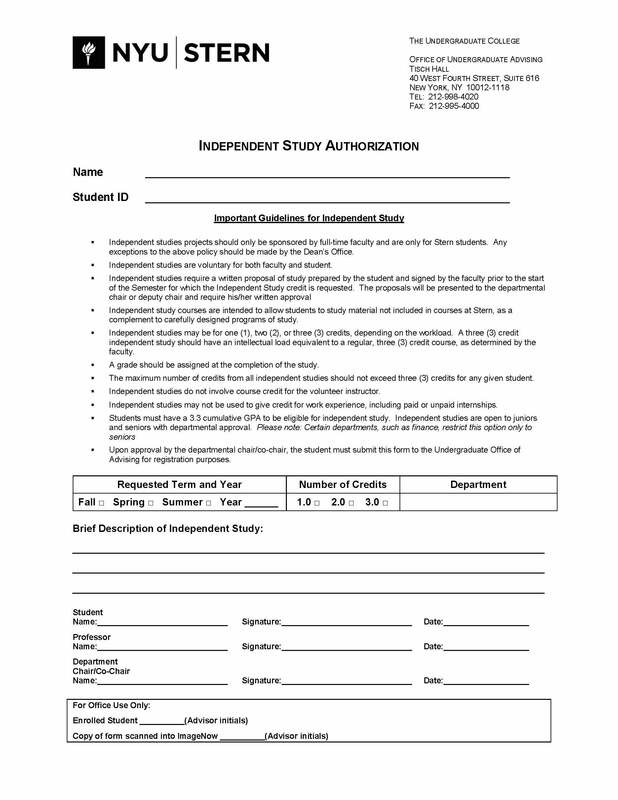 Independent Study Authorization Form Use this form to apply for an independent study course. 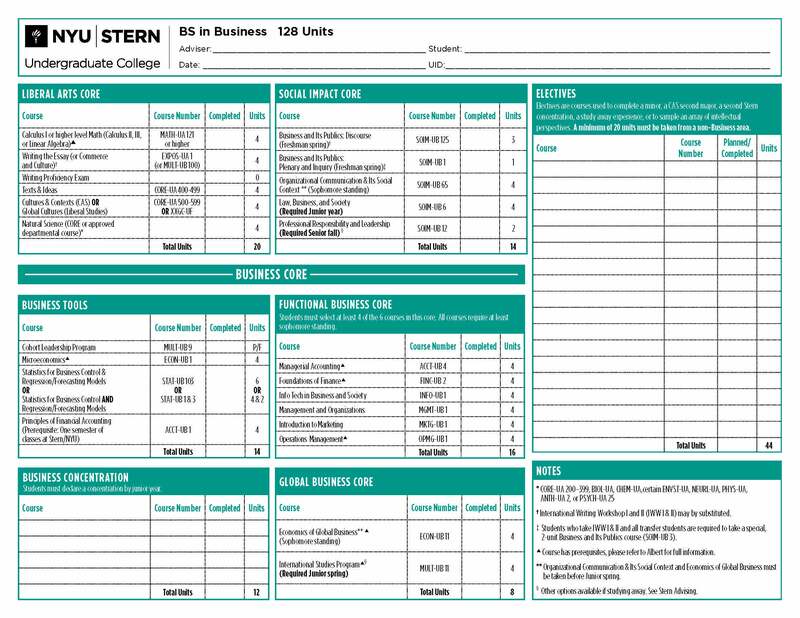 For Stern students only. Effective spring 2017 going forward: students may request to take an independent study for 1-credit only. 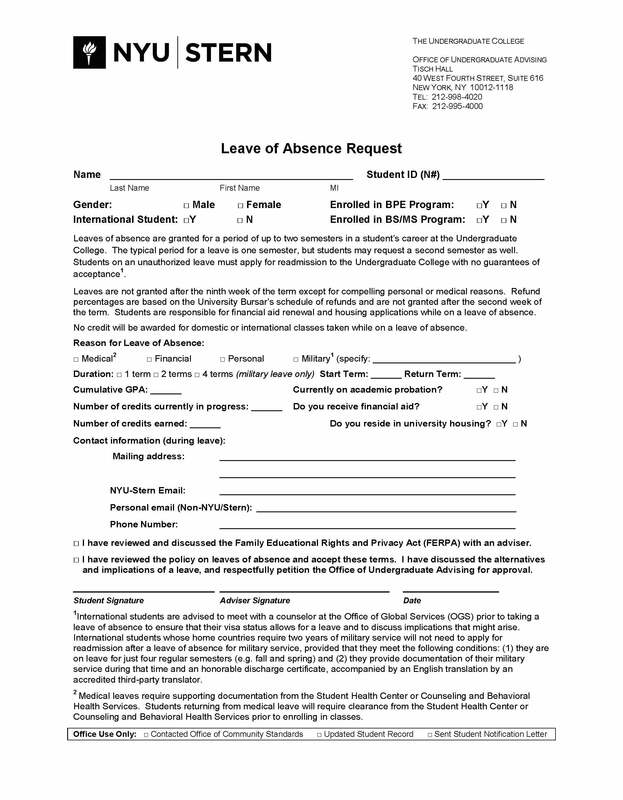 Leave of Absence Agreement Use this form to apply for a leave of absence. 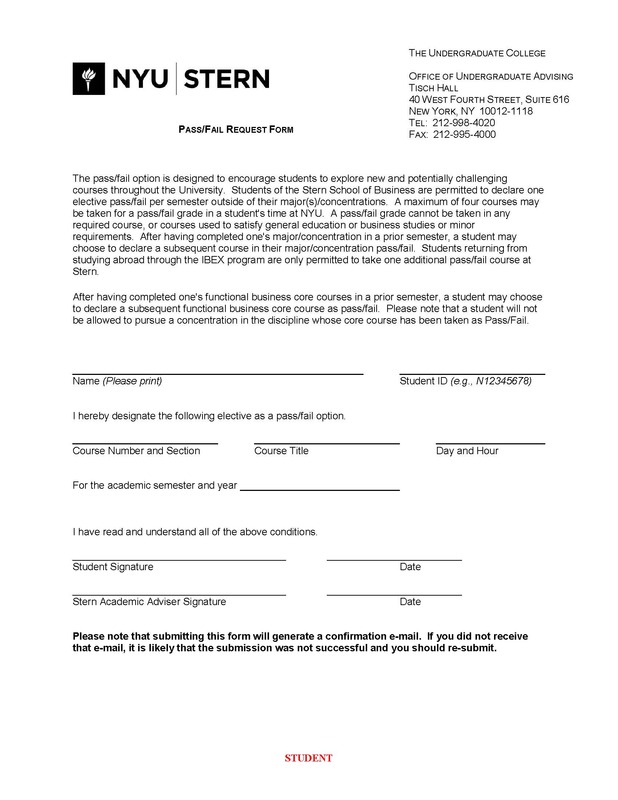 Leave of Absences should be processed before the first day of classes in any given semester in order to receive a full refund. Please see the Bursar's website for the refund schedule.